Solvotrin Therapeutics is a pharmaceutical drug development company, based in Cork. I initially designed the Solvotrin logos. The dark blue and grey represent the corporate feel to the company while the orb represents the science aspect. The orb, being such an attractive graphic in its own right, features heavily in the marketing material. The idea being the viewer, in time, will associate the orb with the Solvotrin brand. 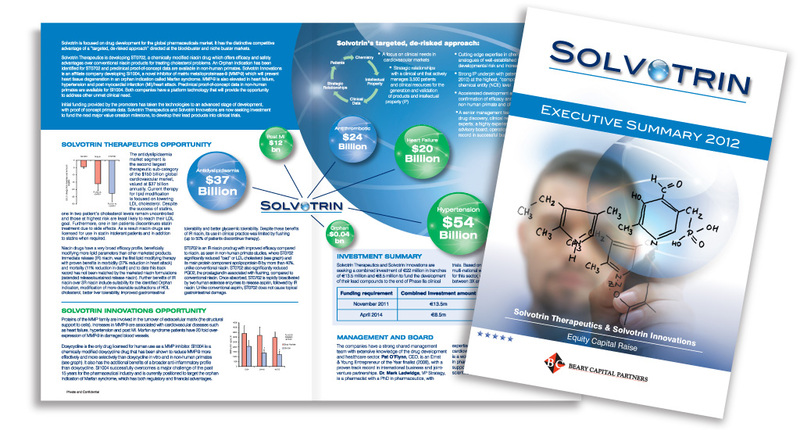 The Executive Summary brochure publications I designed were of great importance in attracting attention to the company. It is crucial that these type of publications look highly polished and are eye catching, from a graphic design perspective, if the company is to be taken seriously by potential investors. Compromising on the design compromises on the credibility of the company. 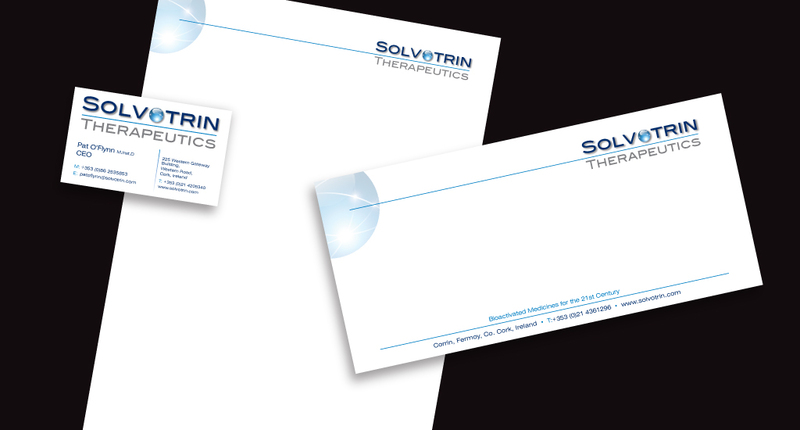 I went on to design the Solvotrin stationery and signage. More key components to the overall branding. 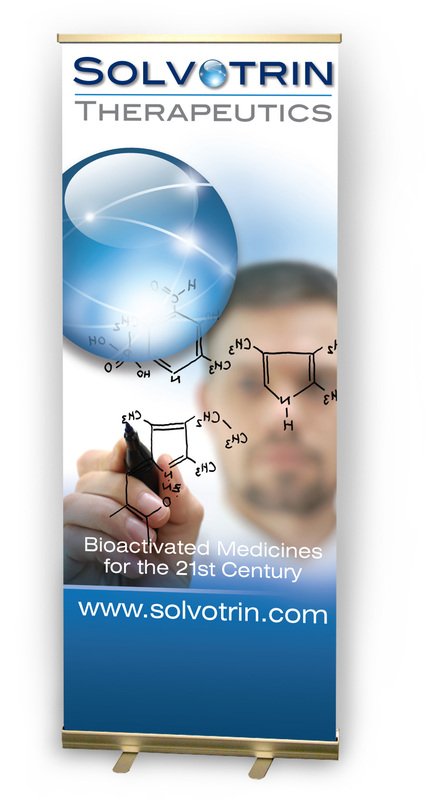 The Solvotrin website that I designed and built can be viewed here.